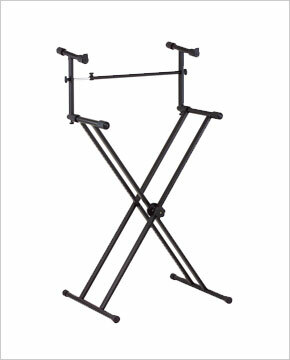 Professional welded double-X keyboard stand. Includes custom 2nd teir for expanded set-ups. Gear-tooth height adjustment mechanism. Heavy duty tubing completes this workhorse keyboard stand. Durable black powder coated finish.